Be sure to speak with Mary Ann prior to taking any genetic testing. Planning for the financial costs and burdens that come with longevity should be done first. The results of genetic testing may make it harder for you to choose an affordable plan. More people are looking into their family history by using genetic testing to find out about their ancestry. Many services, like 23andMe, will not only give you information about people who share your genetic make-up and help you determine what regions of the world your family originated, but they will provide information about many health-related issues your genes may carry. This information can be very interesting and helpful; however, it could eliminate you from obtaining Long-Term Care Insurance depending on the results of the test. Knowing family history and the basic traits that appear in your family history can be fun but knowing your risk for disease could be frightening for some people. Once this knowledge exists, an insurance company may use this information in determine your eligibility for coverage if you apply for Long-Term Care Insurance. This insurance has become a big part of retirement planning. Longevity and the health and aging impact that goes with getting older is a major concern of Generation X and Late-Boomers who are planning for their future retirements. They understand how aging is impacting their parents and other elder family members. They realize that being a family caregiver is hard and paid care drains savings and investments as well as adversely impacting lifestyle. Long-Term Care Insurance is a product which pays for extended care, at home or in a facility. People require long-term care services and supports due to illnesses, accidents or the impact of aging. This includes conditions like Alzheimer’s and Parkinson’s. Longevity is impacting retirement in many ways including the need for help with normal activities of daily living or supervision due to cognitive decline. Since most of the cost of these long-term care services and supports are not paid for by health insurance, Medicare or supplements, Long-Term Care Insurance is a frequent answer to protect assets. But what happens if an insurance company knows you are at higher risk for one of these conditions due to your genetics? “This is something we are very much concerned about. When we have genetic testing information we will use this information, although most of it is benign. Sometimes the information is volunteered by the applicant during the interview process. Other times the information appears in medical records. There are some genetic issues that if we are aware of it we will not approve the application,” said an insurance company executive who requested anonymity. One example could be the APOE e4 gene. The most common variety of Alzheimer's disease usually begins after age 65 (late-onset Alzheimer's disease). This is the most common gene associated with late-onset Alzheimer's disease (called apolipoprotein E (APOE). APOE e4 appears to increase the risk of Alzheimer's. If your genetic test showed you carried this gene would your Long-Term Care Insurance application be declined? Perhaps. 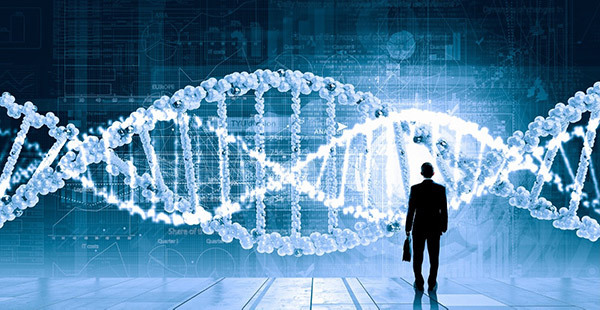 In general, Long-Term Care Insurance carriers can legally utilize genetic test results in their underwriting process for new applicants. The federal Genetic Information Nondiscrimination Act does prohibit health insurance companies from asking for or using your genetic information to make decisions about whether to sell a health insurance policy to you. Nor can they use it for how much they charge you in premium. These rules don’t apply to Long-Term Care Insurance underwriting. You can understand why insurance companies are concerned. The risk of an average person needing extended care is high to start with. The US Department of Health and Human Services reports that if your reach the age of 65 you have a 70% chance of needing some type of long-term care service before you pass. If your risk is very high due to genetics, the risk becomes too high for an insurance company to underwrite. When you apply for Long-Term Care Insurance they will generally obtain your medical records, complete a detailed health interview (usually on the phone) and review your prescription drug records. Some companies will ask questions about your family history, especially if your parent suffered from some form of cognitive decline. 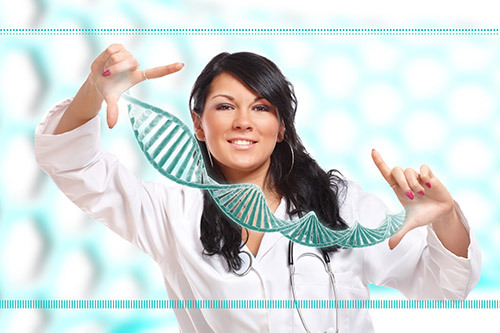 If genetic testing was ordered by your doctor those results will appear in your medical records. This information is fair game. If you told your doctor about consumer genetic testing, and they wrote that information in your medical records, the insurance company will see this information and consider it as well. Don’t forget, almost everything you tell your doctor usally goes into your medical record. If you volunteer during the interview that you had genetic testing completed the underwriter will use that information. This only applies if you undergo testing prior to obtaining coverage. If you get genetic testing after you have a policy, those results will not impact your coverage or ability to make a claim in the future. If you are planning to protect your future retirement funds from the costs and burdens that come from getting older you better act before your health changes. Every insurance company has their own underwriting criteria which they use to consider your application. If you have not yet completed genetic testing, like 23andMe, Helix, and others, you may want to consider obtaining Long-Term Care Insurance prior to that testing. Experts say the best time to plan is before retirement, usually in your 40s or 50s when your health is better, and premiums are much lower.